We’re a pretty active team here at Kabloom but that doesn’t mean we don’t have our own guilty pleasures! For us, it has to be chocolate. We love to choose various chocolate bars at 7:55pm on a Tuesday, ready to scoff during Great British Bake Off but we thought, could we take the guilt out of this Tuesday ritual? Along came Divine Chocolate to answer our prayers! This international Fairtrade company co-owned by farmers, is introducing its first ever organic dark chocolate range. This new range ticks a whole load of boxes for us; Fairtrade? Yep! Delicious flavours? You got it! Completely plastic free? 100% yes! 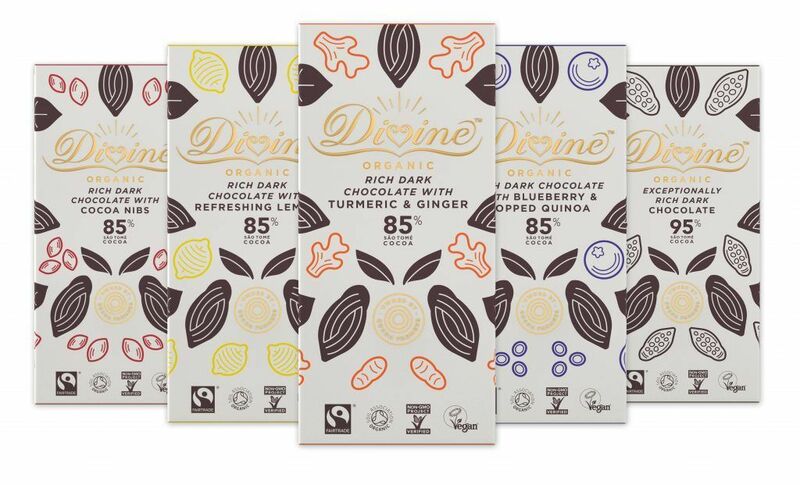 The chocolate is wrapped in a clear biodegradable film and Divine Chocolate are proud to say that Organic range packaging is all plastic free – which is basically chocolate-y music to our ears! As you know, Kabloom is and always will be plastic free so we love to champion and support other brands who are taking that step to do the same. 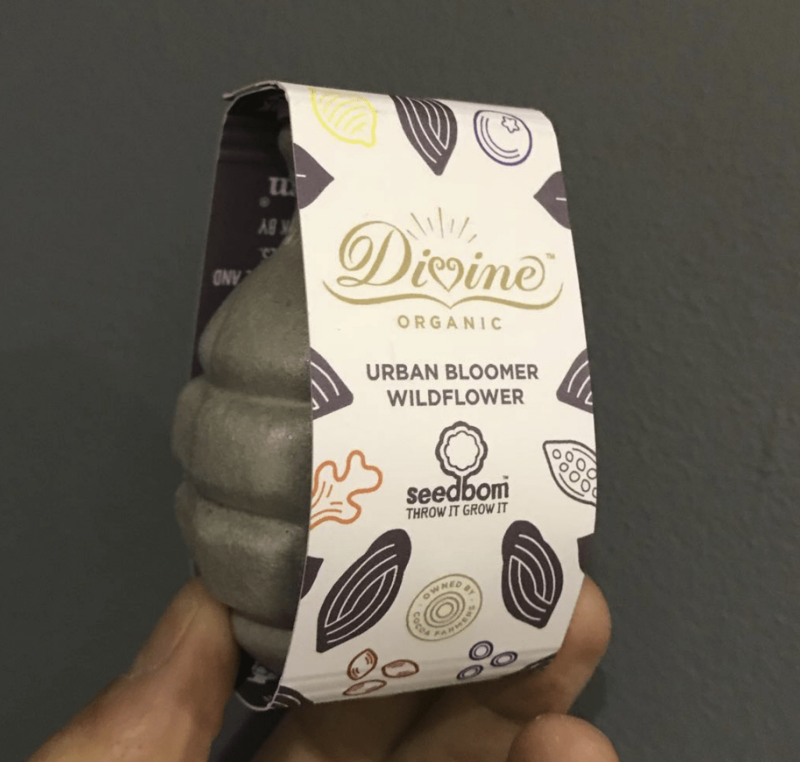 We even made a Seedbom with Divine to promote their new range at the launch party! The new range is made with acclaimed high quality cocoa sourced from smallholder farmers in São Tomé aka ‘The Chocolate Island’ (Erm, can we live there?!) Flavour combinations include ginger and turmeric, refreshing lemon, and blueberry and popped quinoa – available in the UK now! Want more info? Then head over to www.divinechocolate.com/uk where they can answers all your questions. As for us, be sure to keep an eye on all our social media channels to stay updated on everything Kabloom. 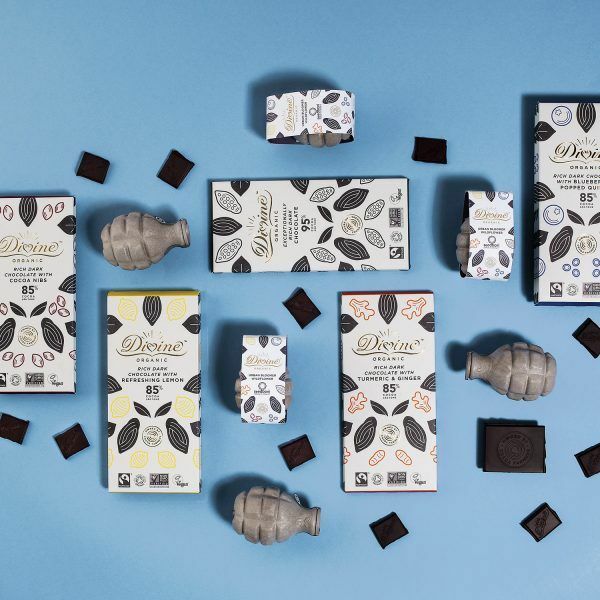 Want to win Divine’s new chocolate range + a bunch of Seedboms to go with it? Then head over to our instagram page and enter our giveaway now! (ends Fri 5th Oct at midnight).